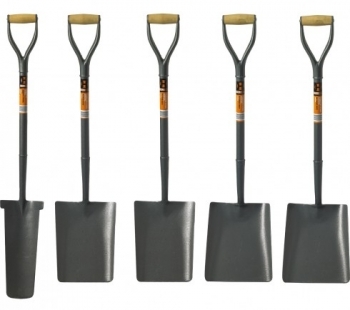 Tough solid forged shovels with hardened blades for professional contractors undertaking demanding groundwork tasks. Manufactured using high quality carbon steel and tempered steel to create blades with extra long sockets for added strength. Controlled with weatherproof hardwood and lightweight fibreglass handles that allow maximum force to be applied with minimum effort.